Steel bodies are 12L14 material with black oxide or zinc plate finish. Plain is 303 stainless steel. Silver is zinc plated steel - light pressures. Black is black oxide steel - medium pressures. Gold is gold chromate finish - heavy pressures. 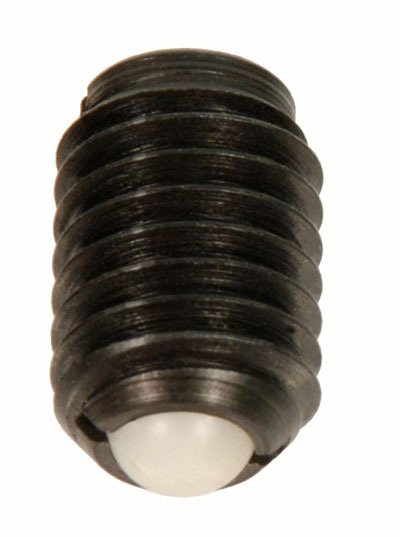 * These Ball Plunger part numbers have a nylon patch as the locking element. All others have a pellet.